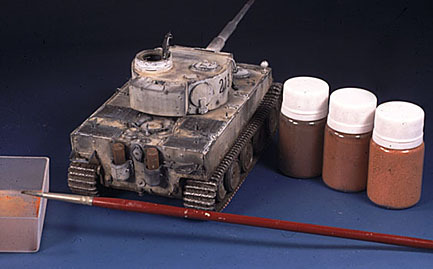 Many modellers use pigments (coloured powders) and pastels, but they also have a lot of difficulty in knowing how to use them correctly: they remain a bit of an enigma. With this article I will try not only to explain how to use them, but also what they are and where they come from. So let's discover the secrets of pigments. Pigments are essentially coloured powder, and are used to produce a full range of colours. We can say pigments are a primary material, like petroleum or coal. Using this powder, manufacturers produce all types of paints and colouring material: enamels, acrylics, pastels, chalks, coloured pencils, oils, etc. The only thing that you need to add to the powder in order to make a type of paint is an agglutinant. This varies between products: oil is the agglutinant type used for oil paints, whereas Arabic rubber is the type used for pastel chalks; but the powder always stays the same. Pigment powder is extracted from different minerals, such as magnesium, titanium, zinc, and also from mineral earth. Are there different quality types? 1. The purity of the pigment, which depends on the mineral of origin. 2. How fine the powder is. If the powder is coarse, with small stones or debris, the pigment will be of poor quality. This depends on the factory that produces it. If you create pigment powder from pastel chalks using sandpaper, you will get a poor quality pigment, because it will already contain the original agglutinant material. For this reason, pigments are not the same as pastel chalk powders. 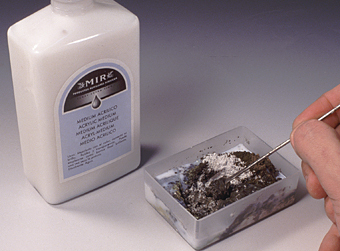 Powders have been used in modelling for many years. 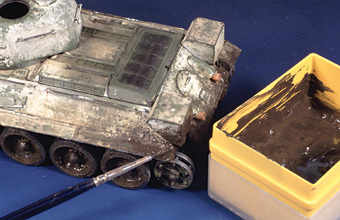 Modellers such as Verlinden first used pastel powders for vehicles in a rudimentary way. 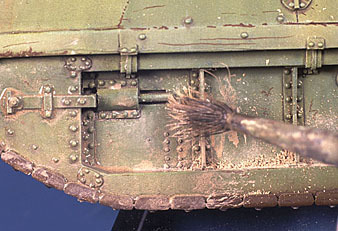 This technique is not new, and it has long been used to simulate dust effects. I used to use my mother's make-up powder to create such effects – but the only effect that I achieved was my mother's anger! The next evolution came along, and I discovered pastels chalks. 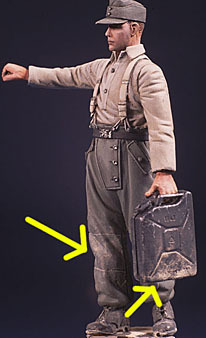 I rubbed the coloured chalk stick with sandpaper and produced dry powder to apply to my models. 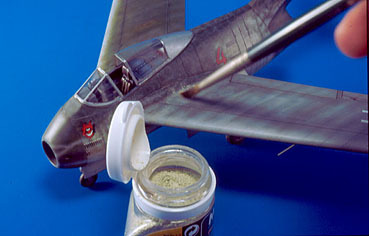 But some years ago, I discovered that Japanese modellers used pigment powder. Finally, I decided to manufacture my own coloured pigment for use in modelling. 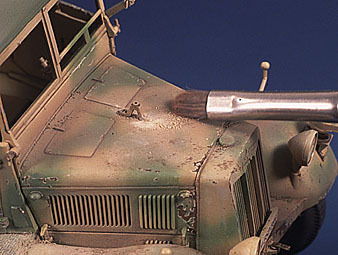 At present, pigments are a tool new to our hobby. 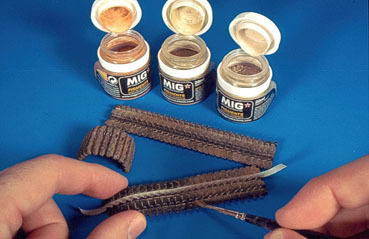 Many modellers use them, and some cannot do without them. What are the secrets of pigments? You can go to an art store, and buy a kilo of Magenta colour for 12–16 Euros (c.14-18 US Dollars, at time of writing). But in these stores they only sell basic colours for artists. 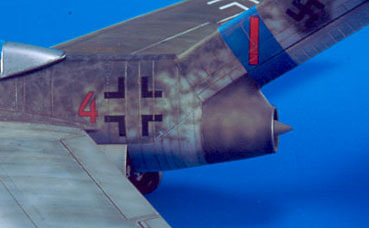 Modelers need specific colours for their vehicles and planes - and we cannot use yellow or blue to create dust or mud. This means that the secret of using pigments lies not in the properties of the pigment itself, but in mixing them correctly to create the required effect. And this is where the complexity lies too. If the mixture is wrong, the final results will be disastrous. Always remember, the colour you use is very important, and of course, the pigment should be very finely produced. What kind of effects can you achieve? 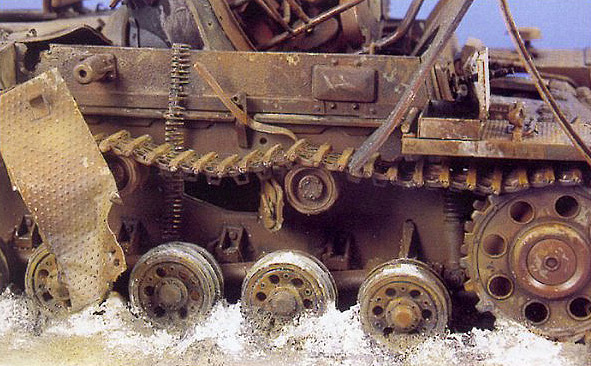 You can achieve a wide variety of effects: dust, mud (fresh or dry), rust, smoke, ash, dirt marks, rain marks – and many more. Your imagination is the limit. Some of the various techniques are illustrated in the image below. 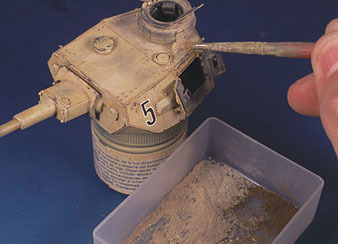 There are many different techniques when using pigments. Some are very easy, but others are extremely complex. 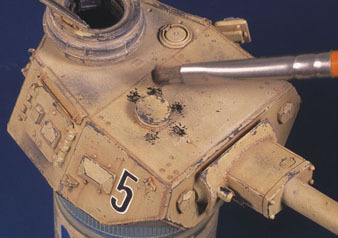 In general, the modeller can obtain very good results quickly. 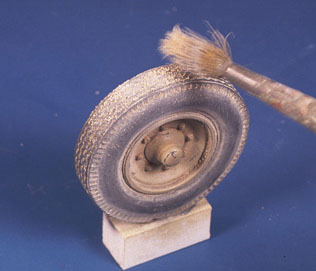 In fact, pigments can replace older techniques of replicating dust and mud, obtaining the same results in much less time. 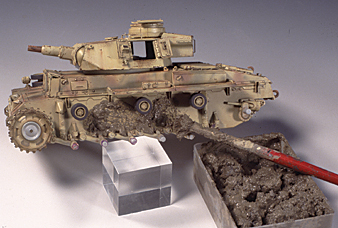 The modeller who wants to work quickly, or who may want to produce good results despite being of little experience, can choose to use pigments. 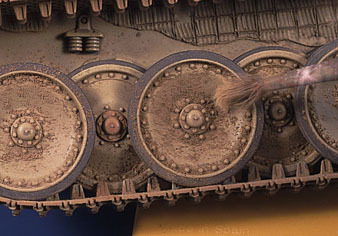 But the expert modeller can also integrate them into his or her select painting techniques. What are the basic pigment techniques? 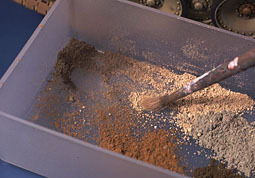 CITY DUST: the best way to produce the dust of a demolished city is by applying pigments directly. 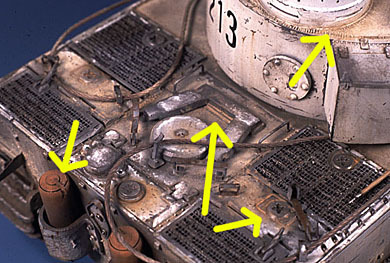 LARGE RUSTY SURFACES: On large surfaces, the oxide should be very matt, but it also needs to be fixed to the surface. Use alcohol to fix the pigment instead of turpentine. 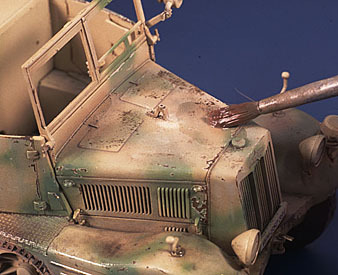 RAIN MARKS: An easy way to create this effect is to blend pigments with water. 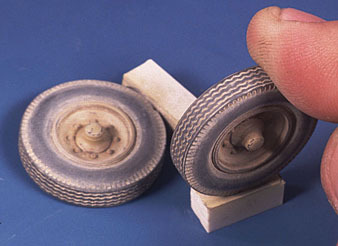 This is easier to control than rain marks made with Tamiya Buff. COLOURED PUTTY: Sometimes colouring putty can produce interesting results. 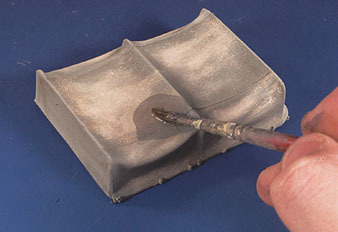 Add the desired pigment directly plus solvent. COLORED PLASTER: You can create brick buildings with a characteristic reddish colour. 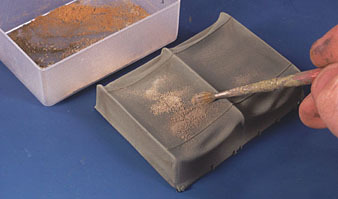 You can also make bricks, or stones, mixing different pigments when mixing plaster. 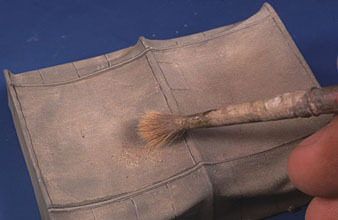 The pigment doesn't alter the properties of the plaster mixture . 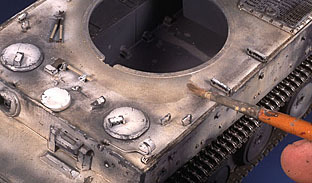 To round off, below you can see how you can make a countless number of effects, such as dust and dirt on wheels, fuel drums, wood, vehicle seats, glass, tarps etc.